Spryte has been an entrepreneur since she was 23. She launched and operated several companies since then, which have helped her earn financial success, recognition, and national awards. Her previous companies ranged from brokering manufacturers’ liquidations and book publishing to coaching clients toward wellness and personal transformation, and direct selling. At age 31, Spryte received a spiritual-bump that knocked her off the pedestal of operating a million dollar company and married, to divorced, diagnosed with in “incurable” disease, devoid of money, a car or even a home, and landed her smack in the heart of Los Angeles as a waitress. 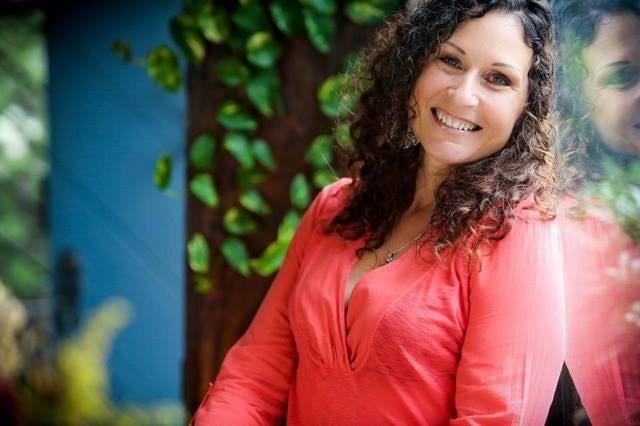 Her “destiny tap” as she learned to love it, led her to a healing and coaching career where she witnessed Angels and Miracles showing up to support her and her clients. When she had a burning desire to have more time, as well as finances, and to be able to give more of herself, she and her partner became a leaders in the direct sales industry. From this success she received not only the finances, but the time to devote to giving back. So in 2006 when she had a vision to Feed 3 Million Children in the US in 33 Days, she and her volunteer board launched a fundraising initiative and raised nearly $300,000 in 33 days; and because she chose to work with several of the nation’s most efficient charities, that sum was enough to provide 1.2 million meals to struggling families. That same year she helped sponsor the largest food drop in the nation, and within the next two years Spryte co-organized and sponsored two additional larger multi-city food distribution events with Feed the Children, Salvation Army and The NBA Players Association. When she wanted more consistent results from her humanitarian efforts, Spryte discovered that others felt the same way. True to form, she co-founded a direct sales organization (Humanity Unites Brilliance, HUB) that offered a way for people to provide sustainable funding to help children around the world while enriching their own lives through Personal Empowerment Education from Transformational Leaders such as Jack Canfield, Mark Victor Hansen, Barbara Marx Hubbard, Michael Beckwith and others. She also developed domestic and international trips to engage people in hands-on service. Spryte became Chief Humanitarian Officer of the organization and oversaw programs that provided ongoing meals, clean water solutions, and education to families in twelve countries. She helped the company raise and disperse $1.5 million in humanitarian aid in its first year alone. Spryte then became the Executive Director of Manifest Foundation (now WorldVentures Foundation), where she expanded its Voluntourism travel to eight countries, and helped to bring positive socio-economic change to over 20,000 children and families. Then in February 2013 she sold everything she had acquired in 48 years of life, packed two suitcases and moved to Liberia, West Africa, where she continued her humanitarian work providing permanent clean water systems, early childhood education and empowering teachers in the second poorest nation on earth. She now resides in Ecuador where she is currently writing her next book, and is continuing to uplift and inspire thousands of individuals through transformational travel experiences. and the development of projects that align with her passionate heart. In her spare time Spryte loves to paint, sing, practice yoga and meditation, and play with her eight-year old Cairn Terrier, Barnaby. Spryte’s business and humanitarian efforts have been featured on Fox News Los Angeles and Dallas, ABC News Phoenix, CNN, Kenya and Liberia TV, and UN Radio.